Plan Your Melbourne Art Week: Top 5 Highlights! Australian Art Collector, What's at the fair? I don’t call it a Spoiled Foot, even though it’s a good summary. I call it a rotten foot. Picked up and then discarded, flying like Aphrodite and then bashed into the brick wall. I come limping home relishing in my attention. I am pain intolerant. But I am not her, I am the blacksmith potter waging war in the back- waters. Trying my hand at this and that. Turning, turning, hiding my limp behind the iron and fire. I am only Vulcan, only Vulcan. Virginia Leonard (b.1965 Auckland, New Zealand) graduated with a Master of Fine Arts from Whitecliffe College of Arts & Design in 2001. 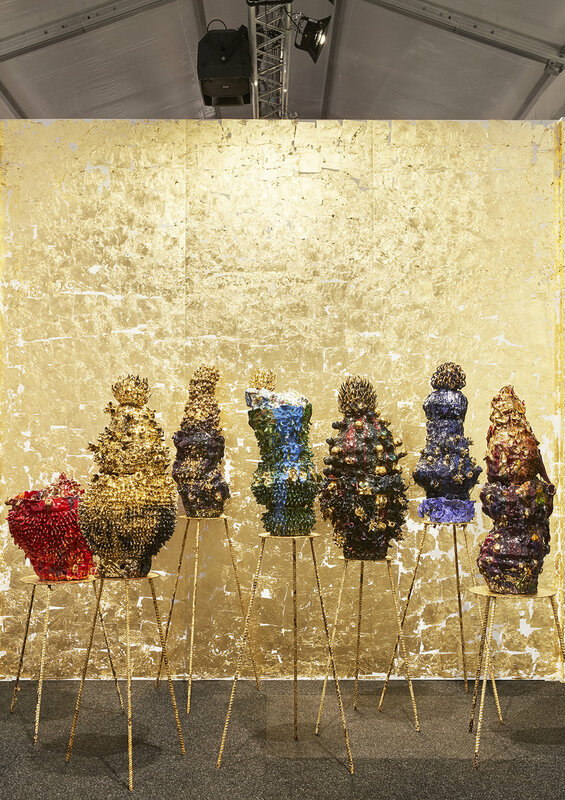 Winner of the Molly Morpeth Canady Art Award, Whakatane (2012) and winner of the Walker and Hall Waiheke Art Award, Waiheke Art Gallery, Waiheke (2011). 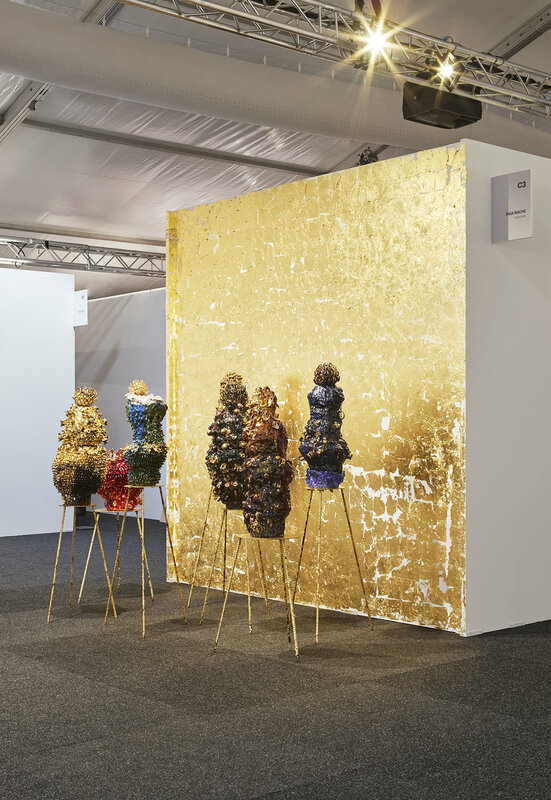 Recent exhibitions include Auckland Art Fair, PAULNACHE, The Cloud, Auckland; miart, Erastudio Apartment Gallery, Milan, Italy; Col- lective Design Fair, Mindy Solomon Gallery, New York, US; EXODUS, The Vivian, Matakana; Solo installation at artgenève, Geneva, Switzerland; (2018), Installation Contemporary curated by Chief Curator at the Museum of Contemporary Art Australia Rachel Kent and Assistant Curator Megan Robinson for Sydney Contemporary Art Fair; Christmas Time Nurses, PAUL- NACHE, Gisborne NZ; (2017), Spring1883, The Windsor Hotel, Melbourne AUS; HANDBUILT made in clay, Two Rooms, Auckland, New Zealand; (2016), Virginia won the Merit Award at the Portage Ceramic Awards, Te Uru Waitakere Contemporary Gallery, Auckland; (2015), The Effects of Crack, Objectspace, Auckland (2014). Leonard is a consistent Finalist in the Wallace Art Awards and was a Finalist in the National Contemporary Art Award, Waikato Museum. She was also the recipient of the Ceramic residency at Guldagergaard, Denmark (July 2017); and was curated into a group exhibition at Galerie Wolfsen, Aalborg, Denmark (August 2016). Virginia's focus is working with clay and her work is a response to the broken parts of her body. She currently lives and works in Matakana. Virginia Leonard is represented by PAULNACHE. Photography by Zan Wimberley, Melbourne VIC Australia.